At least 29 people were injured when an Amtrak passenger train derailed in rural southwest Kansas early Monday, authorities said. 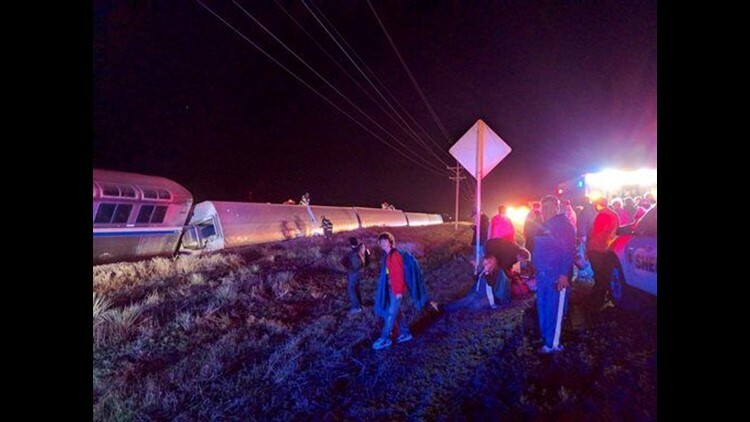 CIMARRON, Kan. (AP) — At least 29 people were injured when an Amtrak passenger train derailed in rural southwest Kansas early Monday, authorities said. The derailment occurred near Cimarron as the train was heading east to its regular Dodge City stop, about 160 miles west of Wichita. Passenger Daniel Szczerba described the confusion as the cars derailed. "All the lights went out, it was dark," Szczerba told Wichita TV station KWCH. "People traveling in groups (of) four or five got thrown around the car as it turned over and lost people as they were trying to get out of the emergency exits."